The next month is an interesting mixed bag of some would-be summer blockbusters, a few festival favorites and a couple of very promising comedies. 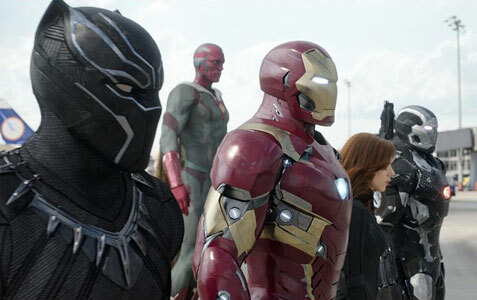 Will “Captain America: Civil War” live up to its hype and buzz when it hits theaters? Can an “Alice in Wonderland” sequel actually be entertaining and not some Hot Topic-infused nightmare like its predecessor? Whether you’re interested in social commentary, buddy cop shenanigans or large cataclysmic affairs with things that go boom, there’s a little something for everyone. What: Political interference in the Avengers’ activities causes a rift between former allies Captain America and Iron Man. Why: After their impressive work on “Captain America: The Winter Soldier,” the Russo brothers return with this culmination of two Captain America films and two Avengers films. The storyline finds the Marvel Cinematic Universe at a crossroads and alliances tested on a personal level, while the action in the trailers looks larger in scope with many moving parts. This film also features the introduction of both the Black Panther (Boseman) and Spider-Man (Tom Holland) to the MCU, and based on early reviews, promises to be a thrilling ride that offers real emotional stakes for the audience. Plus, who doesn’t love superhero on superhero fisticuffs? What: Financial TV host Lee Gates and his producer Patty are put into an explosive situation when an irate investor takes over their studio. Why: While this topic, taking Wall Street and its subcultures to task for their hubris, may be a little stale eight years out from the market crash, it’s sadly still relevant today for many people in the country. The trailer seemingly gives away most of the film, but it looks like a serious take on the repercussions of politics and financial institutions failing the common people, but with a real-time ticking clock (attached to a bomb) involved to make the tension even more palpable. Plus, it’s been five years since Jodie Foster last directed a film, so it’ll be interesting to see how she fares with this stellar cast and potentially hot-button topic. After gaining popularity with their eponymous Comedy Central sketch show, it was only a matter of time before Keegan-Michael Key and Jordan Peele made the jump to the big screen. 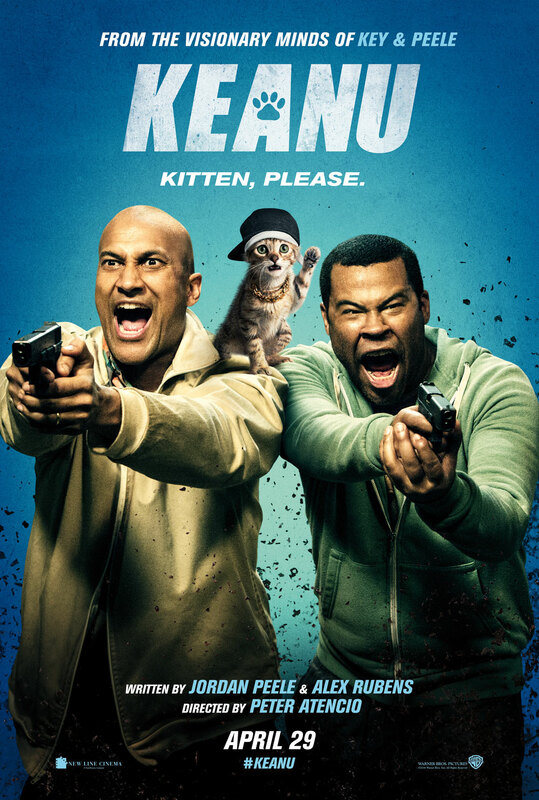 The duo’s debut feature “Keanu,” co-written by Peele and frequent collaborator Alex Rubens, may not be as steeped in political and racial humor as some of their funnier skits, but it’s an enjoyable and often hilarious action-comedy that serves as the perfect showcase for Key and Peele’s excellent onscreen chemistry. Apart from perhaps Tina Fey and Amy Poehler, there isn’t a better comedy team in the business, and when combined with a cute-as-a-button tabby kitten that looks adorable even while dodging bullets amid a deadly gangland shootout, it’s no surprise that “Keanu” leaves you with a big smile plastered on your face. The audience first meets the titular feline during the aforementioned massacre, barely escaping after his drug lord owner is killed by a pair of silent assassins and eventually landing on the doorstep of recently dumped stoner Rell (Peele), whose spirits are quickly lifted by the lovable kitten, which he renames Keanu. A few weeks later, Rell returns home from a night out with his cousin Clarence (Key) to find his place ransacked and Keanu stolen. 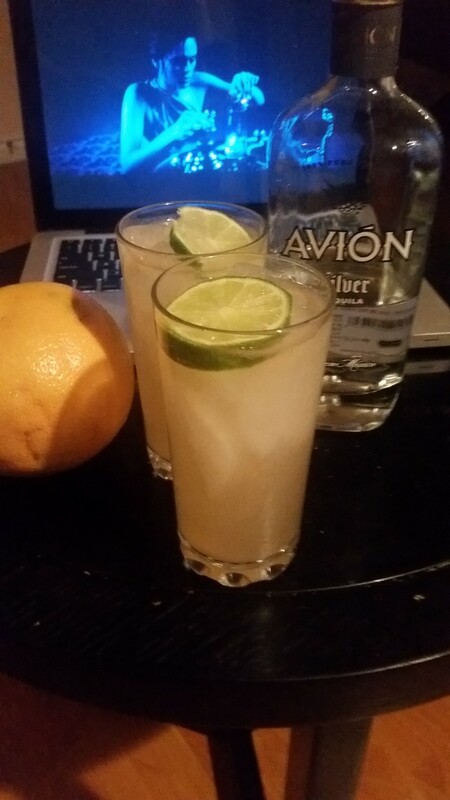 Following up on a tip from Rell’s drug dealer neighbor (Will Forte), whose apartment was the intended target, the cousins go undercover as a pair of hardened thugs named Tectonic and Shark Tank to retrieve Keanu from the gang responsible for the robbery. Their leader Cheddar (Method Man) has already taken a shine to the kitten, but he agrees to give him up if Rell and Clarence – whom he mistakes for the Allentown Brothers (also played by Key and Peele), the assassins from the opening – tag along with his crew on an upcoming drug deal. Meanwhile, the real Allentown Brothers, who have fallen for the kitten as well (did I mention he’s really cute? ), are hot on their trail. Jeremy Saulnier’s sophomore feature “Blue Ruin” established him as a director to keep an eye on. The revenge tale was a brutal, dramatically rich and intense thriller. With his third feature, “Green Room,” Saulnier dials things up a few notches, delivering his most propulsive and unshakeable experience yet. Pat (Anton Yelchin), Sam (Alia Shawkat), Reece (Joe Cole) and Tiger (Callum Turner) are members of the punk rock band The Ain’t Rights, a group barely scraping by to get from gig to gig. After an embarrassing performance at a Mexican restaurant, the group gets desperate and, against their better judgement, end up playing at a bar packed with white supremacists, led by the imposing but calm Darcy Banker (Sir Patrick Stewart). After the band members witness a murder in the green room (a.k.a. the waiting room for musicians), they must fight to survive the night with the assistance of Amber (Imogen Poots), a mysterious but incredibly capable and violent friend of the deceased. With a brisk 95-minute runtime, Saulnier’s film is a well-oiled thriller without a single ounce of fat on it. Every scene, every shot and every character helps build this driving energy, which manages to keep growing throughout the film. 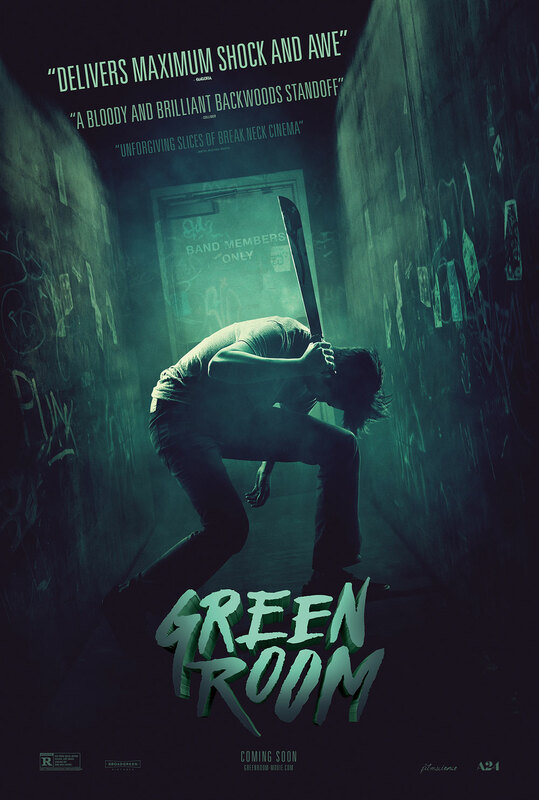 There are no narrative pit stops in “Green Room” — it’s just mean and lean storytelling, rarely ever allowing the characters to catch their breath and collect their thoughts. This story is always on the move, even when the lead ensemble is stuck in the green room for a large portion of the film.